Frequent readers of the DOG Aviation Blog will remember a couple of weeks ago a partial loss of power occurred during climb out from the airport moments after there was a faint smell of fuel. Of course, the flight for the day was aborted and the RV-12 was immediately landed so inspections could be made. After looking at the Dynon SkyView’s flight data log, it was determined the issue was caused by the left carburetor going rich … so the carburetor bowls were removed for inspection of the carburetor’s parts. Nothing unusual was discovered with the left carburetor except for a very tiny piece of grit in the bowl (which may have caused the issue but it sure was small) … however, the same could not be said about the right carburetor which had a good sized flake of what appeared to be a flat black paint laying on the bottom of the bowl. It was noticed that the float bracket was entirely black as opposed to a shiny brass … looks as though it had been coated. The only shiny brass was where the float pins made contact and where the clip for the needle valve rides … which revealed a large shiny brass area which I suspect is where the flake came from. Having taken the Rotax maintenance classes, I knew this was not right. In the realm of aircraft, when you see something you know is not right, it needs to be addressed now … not later. Here is a photo of the right carburetor after removing the bowl. One can see the entire float bracket is black except for the shiny brass area where the clip for the needle valve was riding … this is the area that I believe the black flake discovered on the bottom of the bowl during the first inspection came from. I placed a call to Lockwood and ordered replacement parts and a few spare items such as gaskets floats, etc., just to have on hand for ongoing maintenance. While on the phone to Lockwood, asked to be transferred to tech support to find out if they had ever seen a black float bracket … so explained to tech support what I had discovered. I was told that they have never seen such a thing. The only conclusion we could come to was that Bing (the manufacturer of the carburetor) placed a float bracket in the carburetor that is used on another type of engine. I was told Rotax does not assemble the carburetors they are purchased from Bing intact … so it had to have come from Bing that way. This must be the case because if the black coating was caused by alcohol or some additive in the fuel, one would think the float bracket in the left carburetor would look the exact same way … nope, it is shiny brass. 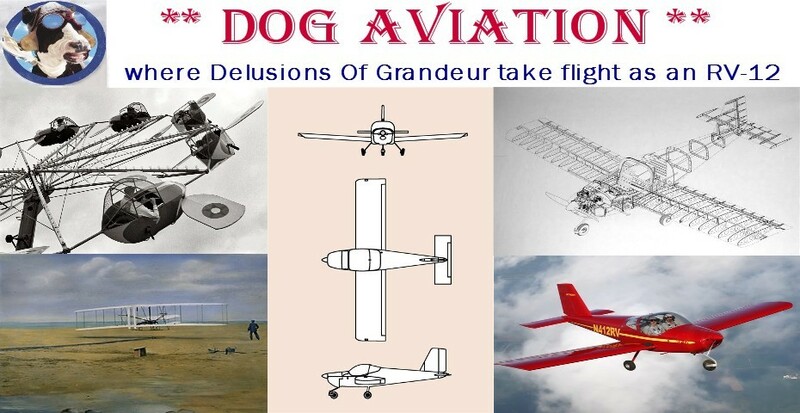 A few days ago the DOG Aviation procurement department received the new parts from Lockwood (great service – two days) and surgery began on the carburetors. To remove the float bracket and associated needle valve, the pin the float bracket pivots on needs to be removed. Before attempting to drive the pin out, one needs to take a VERY close look at the pin … one end of the pin has a taper at the edge of the pin (as seen in the above photo) and the other end of the pin has a knurled edge which provides friction when driven into the carburetor. The pin needs to be removed by tapping it out from the tapered end so the knurled end is pounded out of the body of the carburetor at which point the pin slides out easily with only finger pressure. On my carburetors, the knurled end of the pins went into the carburetors on the side of the carburetor where the bowl vent tube resides. This is kind of a three handed job in that, one person needs to hold the carburetor while the other person wields a small hammer and taps out the pin by using either another pin or a small pin punch … I used a pin purchased as a spare. Bernie was able to lend assistance, so we had the pin moving after just a few light taps with the hammer. Once the knurled portion of the pins were clear of the carburetor body, the pins on both carburetors slid out easily. During reassembly, each pin was positioned so the knurled end seated into the existing groves in the carburetor. Here is a close up of the 861-192 float bracket from the right carburetor alongside the new shiny replacement float bracket. Same parts as in the previous photo ... but flipped upside down. Because the floats in both carburetors were floating well and weighed the correct amount, they were left alone. However, decided to replace the needle valves and float brackets in both carburetors even though those parts looked OK in the right carburetor (the one that went rich). After replacing the float brackets and needle valves, the carburetors need to be turned upside down so the float brackets can be adjusted. The float bracket is adjusted so both arms that the pins on the floats contact are parallel with the body of the carburetor. This is accomplished by bending the tab on the float bracket that the needle valve rests against and slight tweaking of the arms on the float bracket for fine tuning to get them both parallel with the carburetor’s body. The parallel float arm can sort of be seen in the first photo above …. although not directly a side view as one would use when adjusting the float bracket, the viewer can see the arm on the float bracket is parallel to the body of the carburetor (portion that the green gasket goes into). Have not flown the RV-12 since the carburetor parts have been replaced as the weather here in northeast Ohio has not been good for weeks. It has either been raining, snowing or there have been very low clouds as can be seen in the following photo. After replacing the carburetor parts, it would be nice to go for a test flight but the weather has just not cooperated … it has either been raining, snowing or the days have been dreary with low clouds as can be seen in this photo. Yesterday, we began getting into real winter conditions with a significant drop in temperatures along with snow forecasted off and on for the next few days … so at this point not sure when the next clear day will be coming along so another test flight can be made. It is official … winter has come to northeast Ohio.